Julie Churchill is at North Berwick Group Practice, visiting one of the community nursing teams that she works with. It’s the first time they have been together since it was announced that she is now their permanent Team Manager. For the previous year Julie had been acting team manager, and is therefore familiar with a role that involves overseeing 76 community nurses. They work in six day-time teams and one evening team across East Lothian; there are the local Macmillan nurses, and nurses based in four treatment rooms across three GP practices. 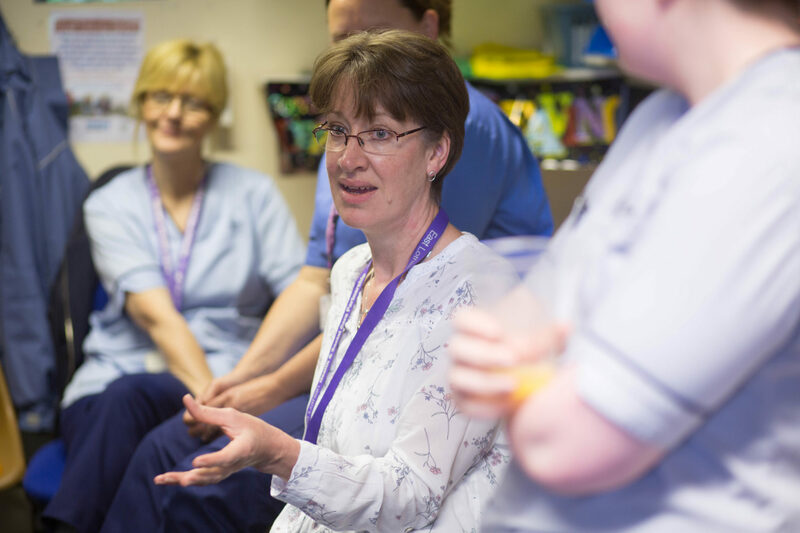 It was Julie’s passion for community nursing, that won her a place on the Queen’s Nurses programme. 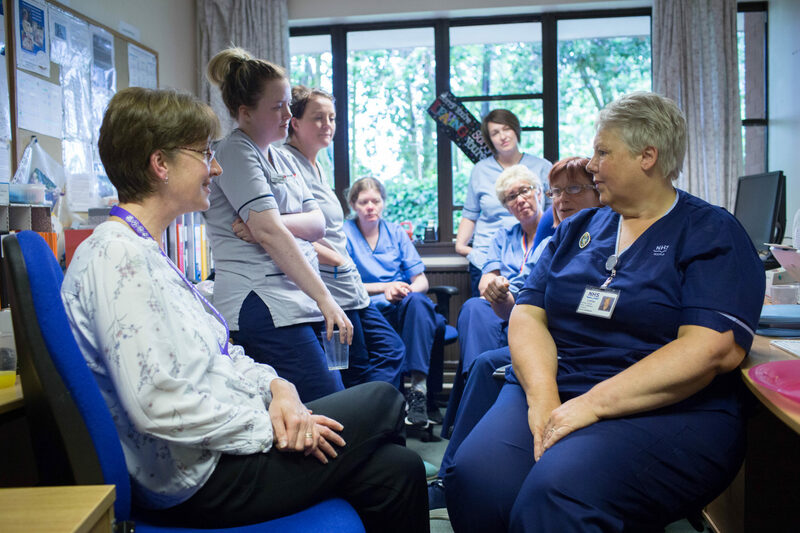 The North Berwick team, which also covers the Aberlady and Gullane areas, comprises one District Nurse, five Staff Nurses and two nursing assistants who together provide care for around 130 people in their own homes. That might mean changing dressings, seeing to the health needs of younger people with multiple sclerosis, providing end-of-life support or, more commonly, dealing with the complications of long-term conditions among older people: Heart disease, diabetes and chronic obstructive pulmonary disease (COPD), which affects the respiratory system, are increasingly prevalent. 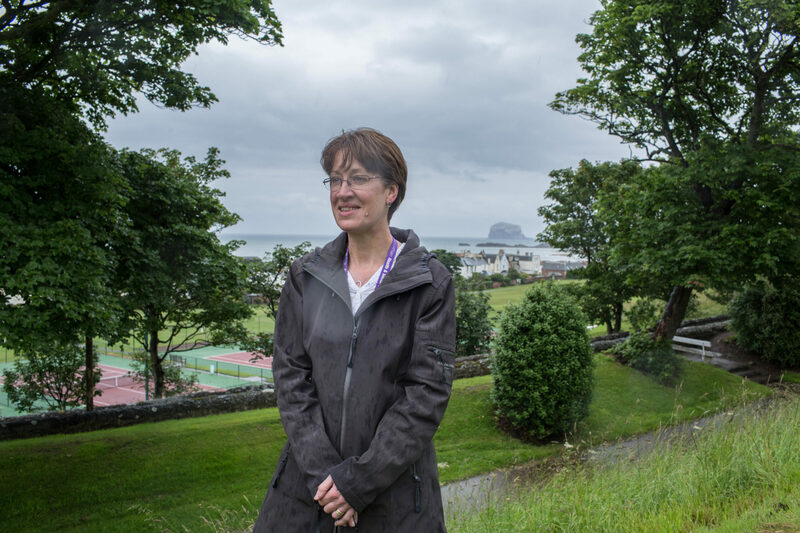 Julie’s commitment to community nursing pervades everything she does: she had a hand in adapting the NHS Lothian clinical decision-making model to fit the community setting, and has an honorary lecturer contract with QMU where she is involved in developing and delivering the district nursing course. Julie has recently changed roles, and now works as a Lecturer in Community Nursing at Queen Margaret University.